Most of us know that the color of our hair, or whether we have a chin dimple, or the likelihood of going bald when we get older has something to do with genetics, but other traits — being a morning person, having an aversion to cilantro or getting irritated at hearing someone chew their food — also have a genetic component. 23andMe recently added four new reports to its growing list of more than two-dozen Trait reports. Together, these reports help illustrate how our genetics may influence more than just physical traits like the thickness of our hair, but also food preferences or certain behavioral traits. The reports also help us understand something else that many of us know already but for which we may still need a reminder — our genetics don’t explain everything. Our traits are influenced by a complex interaction between genetics, environment and lifestyle. And the genetic influences can also be complicated with dozens and even hundreds, or sometimes thousands of genetic variants playing a role. 23andMe’s Trait Reports offer a fun way to explore this complexity by looking at how your DNA may influence physical features or certain personal characteristics. Spend a little time with each report and you quickly get a sense of how your genetics is just part of the bigger picture. Cilantro Taste Aversion — Many people describe cilantro as tasting like soap so slipping a bit of the herb into a dish is seen as a culinary crime. 23andMe researchers have identified two genetic variants associated with aversion to cilantro in people of European ancestry. These two variants are near genes that control the olfactory receptors that determine a person’s sense of smell. 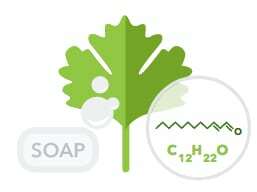 Some of these receptors detect something called aldehydes, a compound found in soap, and a major component of the cilantro aroma.While having these variants might make it more likely that you dislike cilantro, it doesn’t guarantee it. The culture in which you grow up makes a difference too. A study from 2012 found distinct differences in aversion to cilantro among different populations. In cultures where the use of the herb was more common, among people with South Asian, Hispanic or Middle Eastern ancestry, fewer people dislike cilantro. Misophonia — The report looks at the feelings of rage triggered by certain sounds . Misophonia, from the Greek word meaning hatred of sound, is characterized by an emotional reaction from rage to panic upon hearing other people chewing, sipping or chomping on their food. Some scientists believe that this could be an increased connection within the brain involved with hearing and the “fight or flight” response. 23andMe’s new report looks at a genetic variant near the TENM2 gene — involved in brain development — that is associated with having higher odds of misophonia. Wake-up Time — Being a morning person or a night owl is partially associated with your genetics. 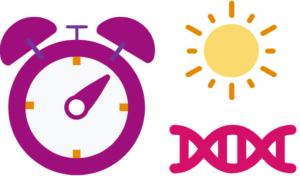 23andMe researchers looked at data from more than 70,000 customers who consented to participate in research and found 450 different genetic variants associated with being a morning person or a night owl. This new report uses genetic information and non-genetic information as part of a statistical model to predict what time you’d typically wake up on your days off when you don’t have to wake up for work. The report also allows you to adjust your genetics or your age to see how that might impact the prediction. Typically the older you are the earlier you wake up. Hair Thickness — Genetics doesn’t just play a role in the color of your locks or whether or not you might go bald, it also influences the thickness of the hair you have. 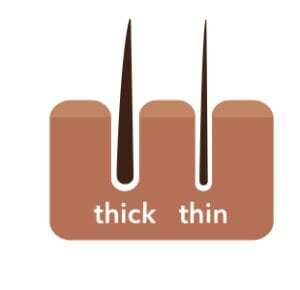 The size and shape of your hair follicles influence the thickness of each individual strand of hair you have. Typically people with East Asian ancestry have thicker hair than individuals with African or European ancestry. 23andMe’s new report looks at one genetic variant in the gene EDAR that is important in follicle development and plays a large role in the thickness of your hair. 23andMe actually offers six other reports that look at different hair traits, such early hair loss, the likelihood of developing a bald spot, hair texture, light or dark hair, red hair and having a widow’s peak. 23andMe’s new Trait Reports are just the latest in a series of new offerings for customers interested in exploring their genetics in a fun and inviting way. The post 23andMe Adds Four New Trait Reports appeared first on 23andMe Blog.